From the north end of Hwy-159, Hwy-156, also known as Lee Canyon Road, runs eighteen miles northeast to rejoin US-95 thirteen miles up from the Kyle Canyon turn-off. Heading three miles southwest instead brings you into the heart of Lee Canyon. Like Kyle Canyon, this was once the scene of commercial logging. 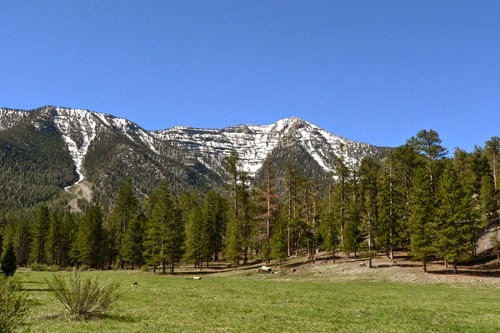 Trees have been cut back to create southern Nevada's only ski area. Las Vegas Ski and Snowboard Resort - Just under fifty miles from the Strip, the Las Vegas Ski and Snowboard Resort at the head of Lee Canyon opens each winter between late November and early April, with snowmaking equipment to prolong the season.